After growing up on the East Coast of the U.S., Pete Cato spent a decade abroad working for English language radio stations in Russia and Europe. 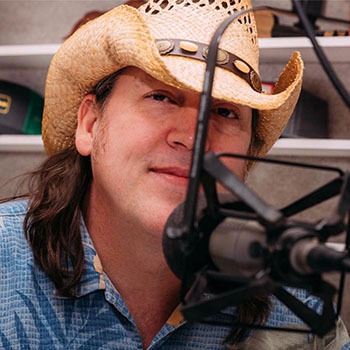 Cato decided it was time to head back to his home country and joined KSJB 600AM in Jamestown, North Dakota, in September 2017. Max Armstrong (Farm Progress, Batavia, Illinois) reports that he had a “fun ride,” courtesy of the Purdue Agriculture Alumni Association on February 2, 2019, in Indianapolis, Indiana. “The university has an annual luncheon called the Purdue Ag Fish Fry. 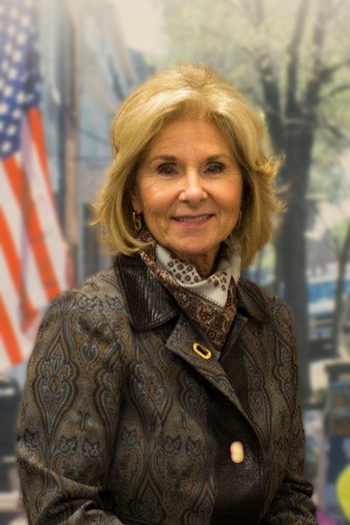 They always try to have an interesting program, and this year they brought back four former Purdue Ag School deans, and those four joined the current dean on the panel.” Armstrong added, “They asked me to moderate the panel, which I was proud to do, of course. The real thrill, though, was to have them deliver me to the stage riding in the official Purdue mascot, the Boilermaker X-Tra Special, the little locomotive that goes to all sports events. 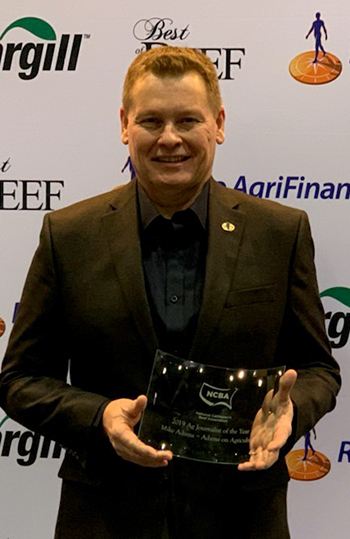 Mike Adams, host of Adams on Agriculture (Jacksonville, Illinois), was named Ag Journalist of the Year by the National Cattlemen’s Beef Association at their 2019 annual convention. 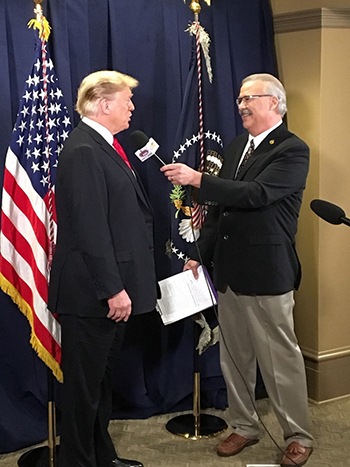 Adams on Agriculture is a national agricultural talk show featuring a mix of commentary on agricultural issues and interviews with decision makers, such as members of Congress, USDA personnel, and leaders of agricultural organizations. Last April, Mark Oppold left full-time employment at RFD-TV after a nearly 30-year association with RFD-TV Founder and President Patrick Gottsch. Word around the farm broadcast industry was that he retired, but his wife, Kathi, said, “He didn’t actually retire. He just redirected.” While leaving full-time employment, Oppold continues to perform hosting and reporting duties for RFD-TV at conventions and trade shows. Those duties have included two private one-on-one interviews with President Trump, which Oppold says are career highlights. Free of his daily duties, part of Oppold’s redirection is a reintroduction of a piece of his broadcast history.